The Mad Nomads Veteran Marine and Sergeant. Located behind them is our chapter banner. 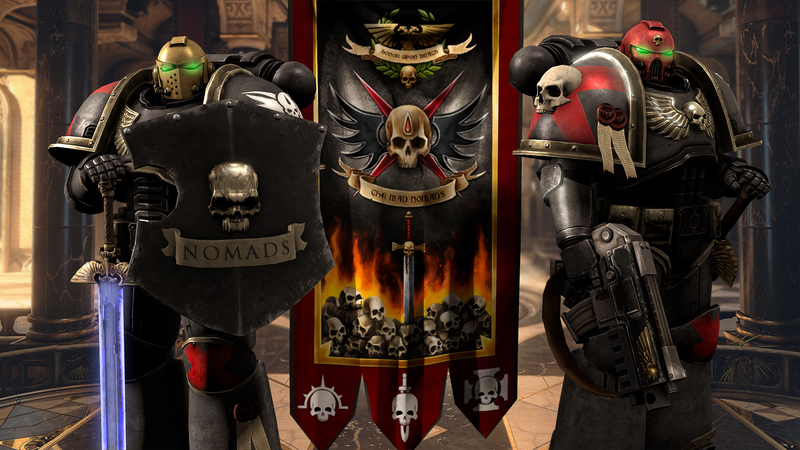 -- Joazzz2 for providing the 40k models. A Company Captain of The Mad Nomads. A Mad Nomads Bladelord calling forth a battle-brother for the Path of Redemption Tournament. The Path of Redemption Tournament sees Battle-Brothers besting each other in a single-elimination melee tournament. The victor will be given the chance to challenge the reigning Bladelord for his title. If the challenger prevails, he will be crowned the new Bladelord of the Chapter. 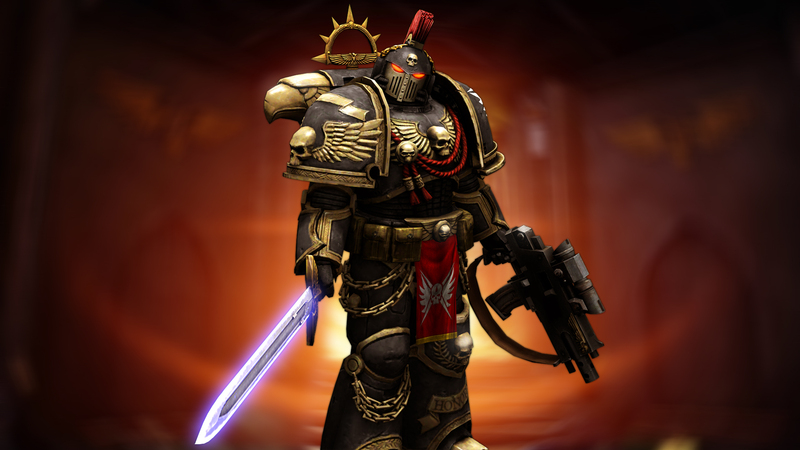 A Mad Nomads Bladelord of Blood Angels origin (See Heraldic Shield on left pauldron) showing off his combat stance when dual-wielding power swords. Holding the blades as such prevents entanglement during combat, and does not allow his opponent from parrying both his swords with one swing. It is recommended for beginners to hold a power sword on one hand, and a shorter blade in the other. 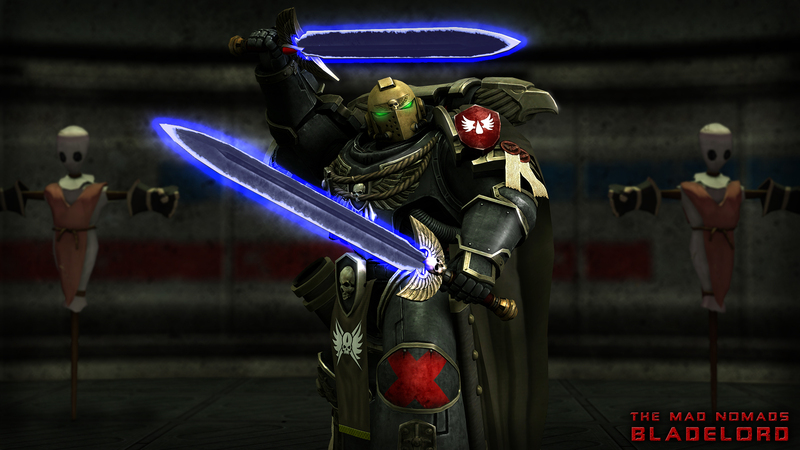 However, the stance will also change as there is no longer a need to hold one blade above the other as seen above. The Path of Redemption Tournament sees Battle-Brothers besting each other in a single-elimination melee tournament. The victor will be given the chance to challenge the reigning Bladelord for his title. If the challenger prevails, he will be crowned the new Bladelord of the Chapter. If the challenger loses, the Bladelord will retain his title. 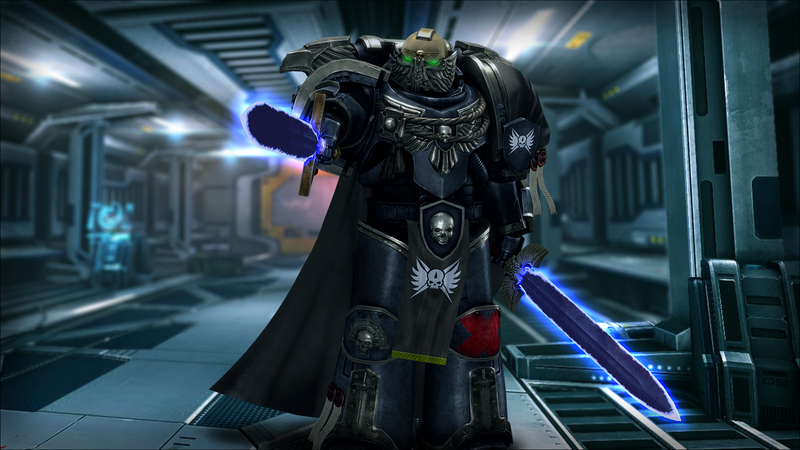 -- Joazzz2 for the Ultramarines models.